Bayside Manor at 1st & Balsam. A quiet yet central Kitsilano location north of 4th. 2 Bedrooms, 2 1/2 baths totally renovated in 2013, Lonetree Kitchen, baths, maple floors & woodburning fireplace. 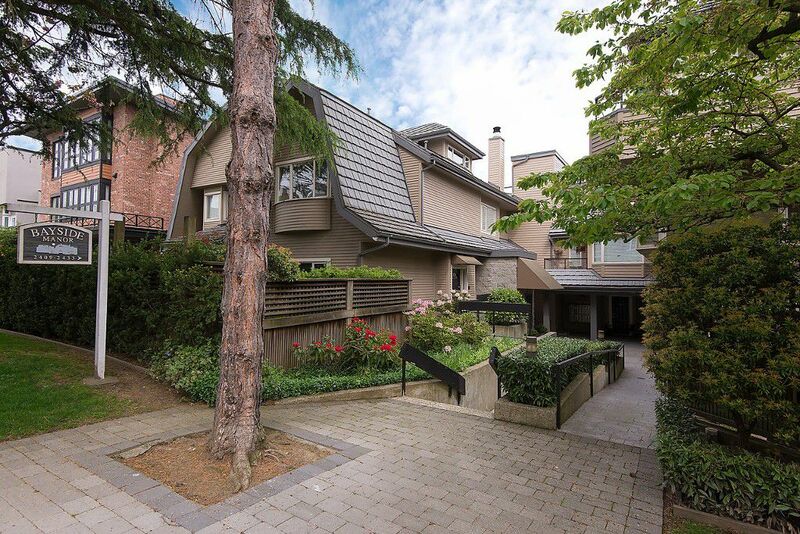 Completely private setting with bedroomopening to large landscaped mature garden level patio. 2 level townhome with 2 parking spaces & direct access from parkade to suite. A small proactivetownhome community with just 19 units. Beautiful tree lined street close to Kits Beach & 4th Ave shops.